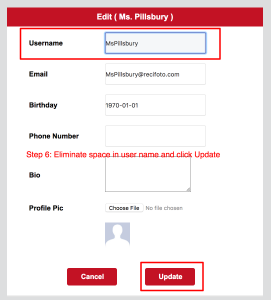 This article will give you step by step instructions on how to change your Username for ReciFoto 2.0 and ReciFoto Plus. 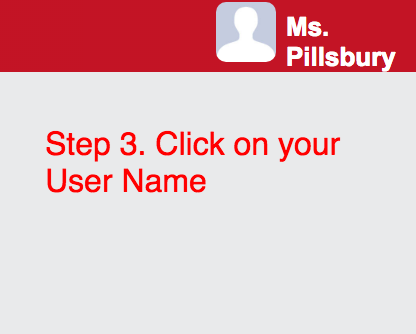 This is only necessary if you had a space in your original user name. The two word user names caused havoc in our data base. So, we apologize for the inconvenience, but it is all for the greater good! And if you can’t remember your password, follow Steps 1 and 2. Step 1. 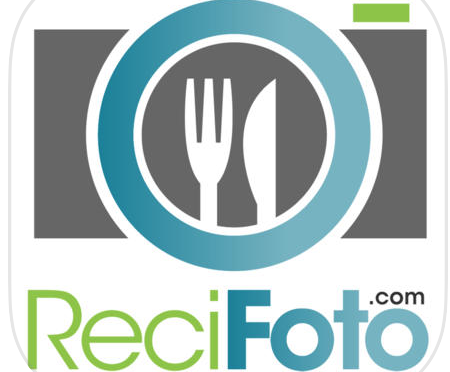 Go to www.recifoto.com and log in with your original username or email and password. Step 2. 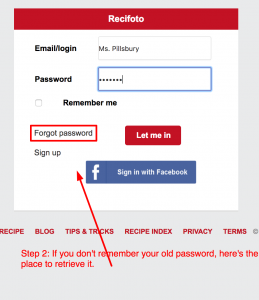 If you don’t remember your old password, here’s where to change it. Step 3. 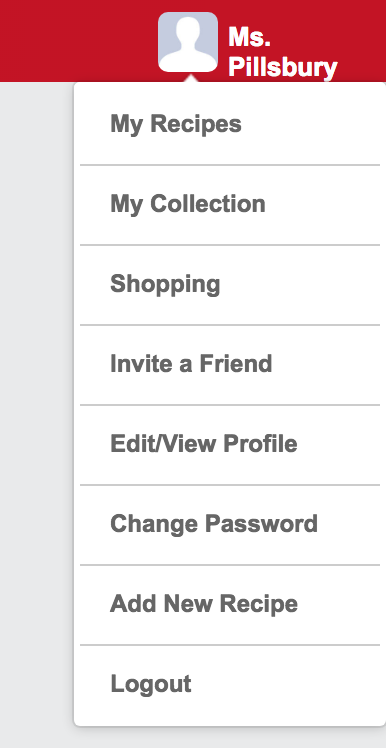 After you’ve logged in, click on your Username in the upper right corner. Step 6. 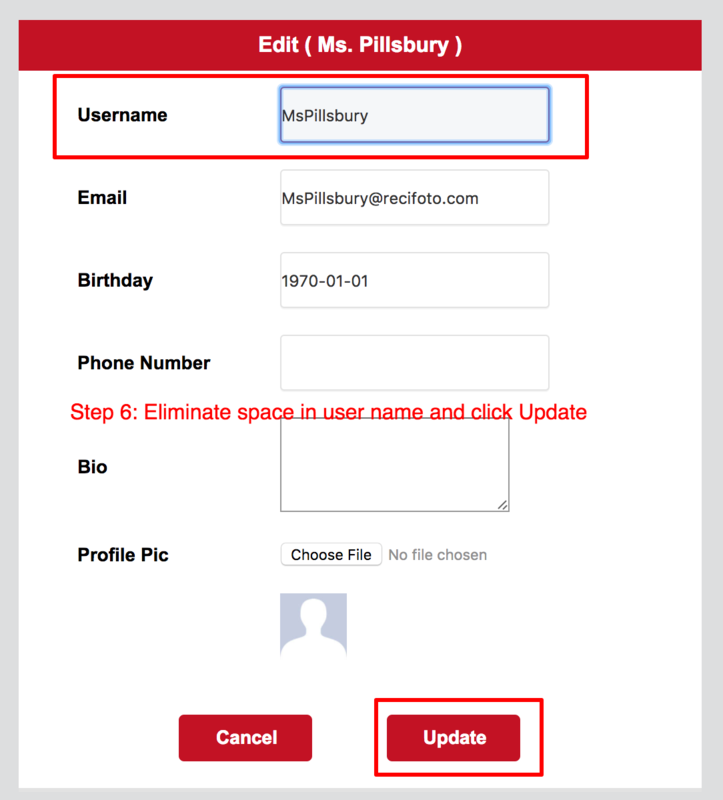 Eliminate spaces and any special characters in your Username and click Update. You should now be able to log in to your new ReciFoto 2.0 and ReciFoto Plus app. If you continue to have any issues or questions, please contact Support@ReciFoto.com. We can help!